Combining the features of the Relate range with Friends & Family options. Using 3 simple programming keys you can store up to 10 Friends& Family numbers. The Call My Bill facility puts the user in charge of call spend with up to date information on call expenditure since the previous telephone bill. 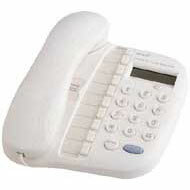 A highly featured telephone ideally suited to the residential market. 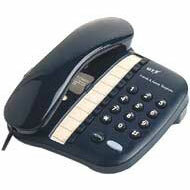 It incorporates easy programming of Friends & Family numbers as well as easy access to the Call My Bill service. The Call Timer feature allows the user to monitor the duration of the call. The Relate 600 is designed for the user to make the most of BT's Friends & Family services. Incorporating a Caller Display* facility, the Relate 700 replaces the Relate 350 within the Friends & Family range. Not only does it make the most of the Friends & Family discount scheme, the friend or family member calling is identified before the phone is picked up. As with all the previous Friends & Family phones, the 10 most popular numbers are easily updated.